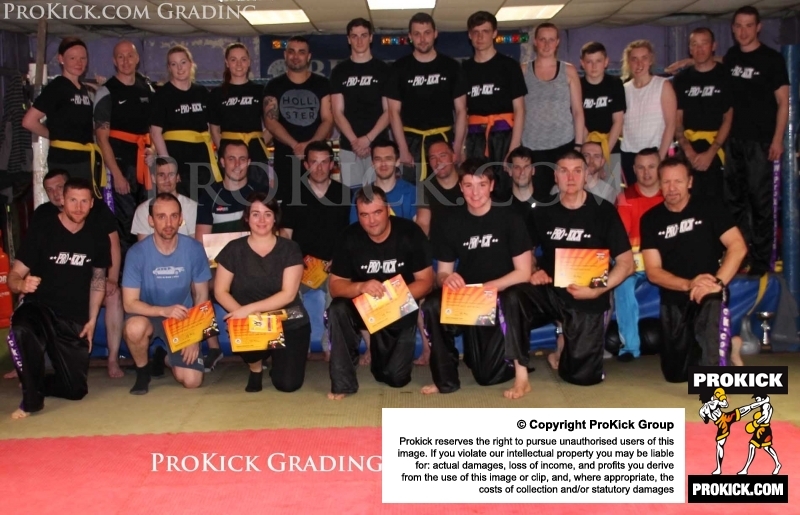 Sunday the 5th July 2015 was graduation day for some at the ProKick kickboxing school of excellence. There was no let-up for some of Northern Ireland's top kickboxing talent on a hot Sunday afternoon at the ProKick gym. Sunday the 5th July 2015 was graduation day for some at the ProKick kickboxing school of excellence. That's was the lucky hard working members moved up to the next level. SUNDAY 5TH July 2015 and there was no rest for some of Northern Ireland's top kickboxing talent took to the Grading day on Sunday 5th July. Adult beginners right up to senior level Green Belts all converged on ProKick HQ on this beautiful afternoon and most (thankfully) achieved their next levels. Congratulations to everyone that graded today.